Ocular Lymphoma is a type of cancer that attacks the cells in your immune system. 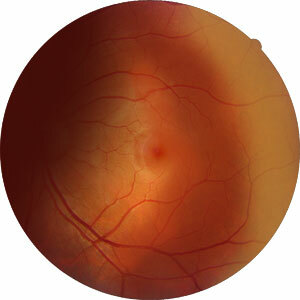 1) Primary vitroretinal lymphoma: a type of primary central nervous system lymphoma. It affects the retina, vitreous and optic nerve. 3) Secondary intraocular lymphoma: seen in patients who have systemic lymphoma. It usually involves the choroid, iris, and rarely the retina. • Chemotherapy: the use of special drugs to kill cancer cells both inside the eye and that may have spread outside the eye. It may be injected directly into the eye, into a vein, or into the spinal fluid. • External Radiation Therapy: this may be directed into to the brain, spinal cord, or eye. It will help prevent the cancer from spreading or kill any cancer cells that may be there. Treatment depends on whether or not the cancer is in other parts of the body. Ocular lymphoma is treated with a team of doctors including medical, neuro (brain), and radiation oncologists (cancer doctors). The exact cause of ocular lymphoma is not known. Most people who have ocular lymphoma are elderly or have an immune system problem such as AIDS. Those with rheumatoid arthritis or take anti-rejection drugs after a transplant are also at a higher risk for this disease. Genetics may also contribute and play a role in the development of ocular lymphoma. You may inherit a gene from a parent that increases the chance of developing this type of cancer. You and your eye doctor will discuss the treatment plan that is best for you.